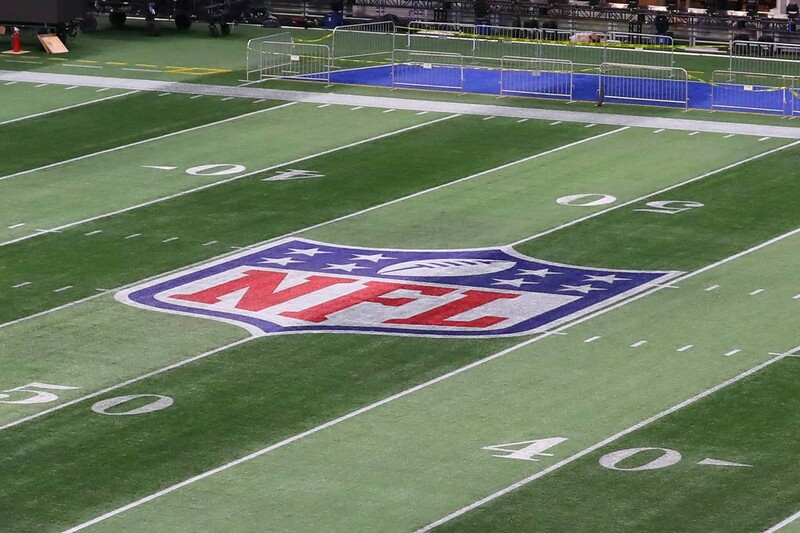 1 billion chicken wings, $100K tickets & male cheerleaders: An alternative look at Super Bowl LIII Get short URL The Super Bowl is almost upon us as the Los Angeles Rams prepare to meet the New England Patriots in Atlanta. But away from the football, the NFL extravaganza offers some bizarre stats amid the all-American razzmatazz. Here, RT Sport takes you through an alternative look at one of sport’s most-watched events. As the Patriots and Rams play out the biggest show on turf at the Mercedes-Benz Stadium, Americans will be tucking into some staggering amounts of food. So much so that Super Bowl day has been dubbed the nation’s second biggest eating occasion, behind only the turkey-filled fest that is Thanksgiving. Research in recent years has found that Americans munch their way through more than 11 million pounds of potato chips, 8 million pounds of tortilla chips, and 3 million pounds of nuts on Super Bowl Sunday. They will also wolf down a whopping 1.38 billion chicken wings – enough to circle the planet three times, according to the National Chicken Council. Watching football is thirsty work, and an estimated 50 million cases of beer will be glugged down as the Patriots and Rams slog it out, should previous years be anything to go by. 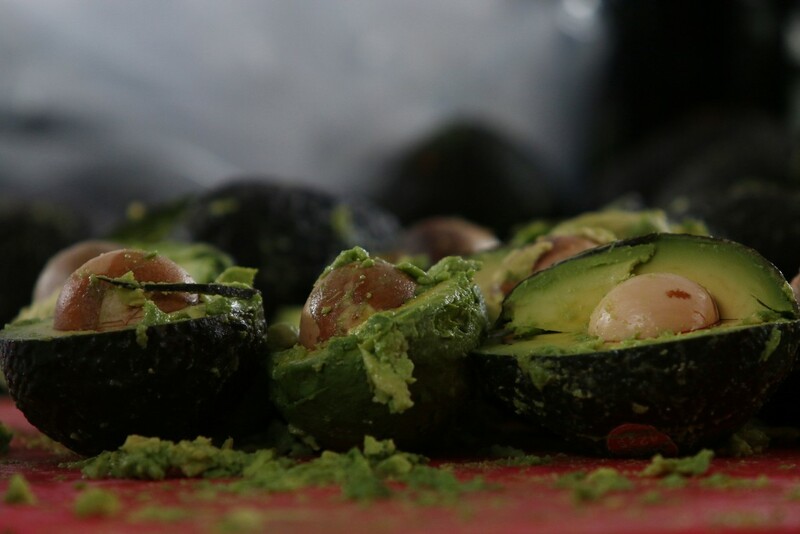 Another food favorite is guacamole – meaning masses of avocados. More than 100 million pounds of the fruit will be consumed on Super Bowl day, and there were even fears of an avocado absence ahead of the game due to a fuel shortage in Mexico, from where they are imported. Americans’ appetite for gridiron is huge, but it's clearly matched by their voracious need for the accompanying party food and drink that goes with the occasion. Sunday’s action goes down at the stunning Mercedes-Benz Stadium in Atlanta, Georgia. The 71,000-seater stadium opened in 2017 at a reported cost of around $1.5 billion, and boasts an incredible retractable roof. It is among the most aesthetically-pleasing arenas in the sporting world, and is home to NFL team the Atlanta Falcons and Major League Soccer champs Atlanta United. There were weather concerns for Atlanta earlier this week when the National Weather Service predicted that the Super Bowl city could get up to 2in of snow. Fears over the white stuff didn’t materialize, however, and Atlanta has remained distinctly snow-free. It will remain frigid in the days leading up to the game though, with temperatures in the 40Fs (about 5-6C) on Friday, before things climb to around 60F (14C) for Sunday. NFL officials have said they are hoping to play the game with the retractable roof open, but that could change depending on the weather conditions come Sunday – with rain forecast. In any event, it will certainly be warmer than last year’s Super Bowl in Minneapolis between the Patriots and Philadelphia Eagles. That was dubbed “the coldest ever,” as outside the US Bank Stadium temperatures were around 2F (-16C) at kickoff – but considerably warmer inside. THE HOTTEST TICKET IN TOWN? As one of the biggest draws in sports, the Super Bowl commands ticket prices to match. Estimates of average prices for Sunday's game are at about $4,500 on resale sites this week, although SeatGeek incredibly has listings for a single ticket at a whopping $96,000 as of Friday. The match-up hasn’t inspired many though, with fan fatigue over the Patriots reaching a third consecutive Super Bowl and a record 11th overall as they cement their place as among the league’s greatest dynasties. Around 2,800 tickets for the big game were still available as of midweek, according to StubHub. That's assuming you have a few thousand dollars spare, of course. With a mammoth viewing audience upwards of 100 million in the US, the Super Bowl sees some hefty fees for TV advertising slots. Broadcasting the game in the US alternates between the three main NFL rights holders – CBS, Fox and NBC. This year it’s CBS’s turn, which will be the 20th Super Bowl for the network. Ad slots of 30 seconds are going for in excess of $5 million, according to Business Insider. Big-name brands typically use the slot to go all-out with some very special offerings. Memorable efforts from down the years include Apple’s ‘1984’ ad of the same year, and Pepsi’s 1-minute clip of supermodel Cindy Crawford in 1992. The Super Bowl slot has also traditionally been used for new teaser trailers for movies – so film buffs should keep their eyes peeled for more glimpses of upcoming releases. Just as with the game-time ad slots, the halftime show offers huge exposure to the ones lucky enough to perform. But bands beware – sometimes that exposure can come with risk, as Janet Jackson knows all too well. Justin Timberlake infamously bared Jackson's breast in front of 114 million TV viewers in 2004, in a wardrobe malfunction that became known as 'nipplegate'. This year’s halftime slot has already proved more controversial than most, with reports that Rihanna rejected the gig in support of NFL anthem protestor Colin Kaepernick. Pop-rockers Maroon 5 have taken on the slot – but the traditional pre-show press conference has already been canceled amid rumors the league is keen to avoid any awkward questions about Kaepernick and the protests. Levine said that the band was aware of the backlash for taking the gig, telling NBC this week: "It is what it is. We expected it. We'd like to move on from it and speak through the music." 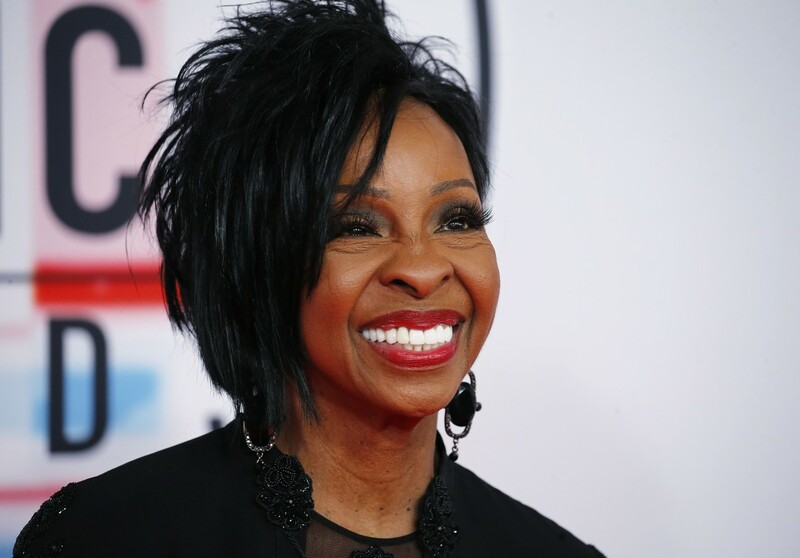 Before the game, Atlanta-born R&B legend Gladys Knight, 74, will have the honor of performing the national anthem. Cheerleaders are as American as apple pie and will be a lively presence at this year's Super Bowl, just as they have been down the years. But this time round there will be a new addition to the ranks as two men make history by becoming the first-ever male cheerleaders at the NFL showpiece. Quinton Peron and Napoleon Jinnies will be cheering for the Los Angeles Rams alongside the team's female dancers. Peron and Jinnies made the headlines last year after making it onto the Rams’ cheerleading squad, becoming the first men in the role in the NFL. The two California dancers will now have the chance to strutt their stuff on the biggest stage of all alongside their female counterparts. Next we turn to some of the actual men in the middle on Sunday. Much of the attention will be focused on Patriots quarterback Tom Brady, who at 41 years old will be gunning for a record sixth Super Bowl ring as a player. Victory against the Rams would see him past Charles Haley – who won five during his time with the San Francisco 49ers and Dallas Cowboys in the ‘80s and ‘90s. Brady will be appearing in a record-extending ninth Super Bowl and has already racked up a number of unique feats in football’s biggest game. He has won four Super Bowl MVP awards – the last coming at Super Bowl LI – and this time round is aiming to top Payton Manning’s record as the oldest quarterback to claim glory. Manning was 39 years and 320 days old when he triumphed with the Denver Broncos in the 2015 season. Brady is something of a curiosity for many in the media on a personal level, with his remarkable longevity the source of much discussion. His penchant for avocado ice cream is well-documented – and mocked – and he is also said to drink up to 25 glasses of water a day as part of his strict diet. He is famously married to Brazilian supermodel Gisele Bündchen, meaning the star quarterback is as likely to feature in the celebrity pages as he is in the sports sections. 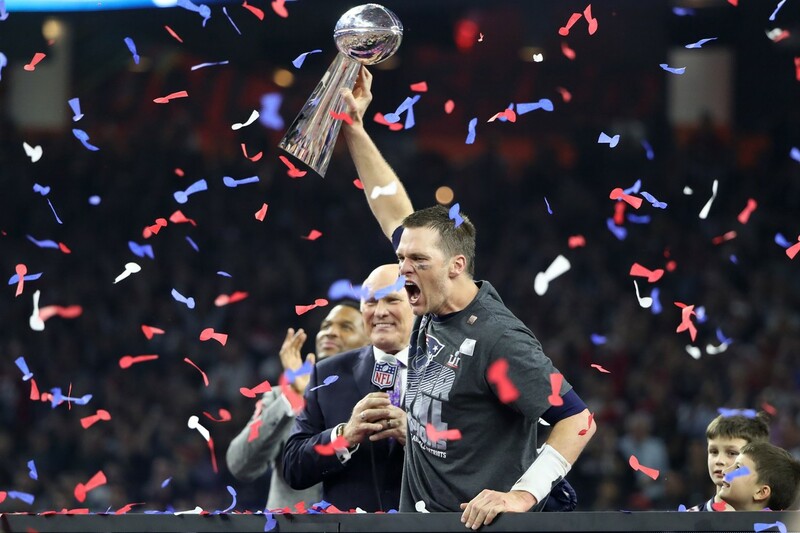 Brady and the Patriots missed out in a thriller to the Philadelphia Eagles last time round, but edged the Atlanta Falcons in a Super Bowl classic two years ago. The veteran inspired the Patriots to victory over the Kansas City Chiefs in this season’s AFC Championship game to set up Sunday’s clash. Brady is already proclaimed as the GOAT of quarterbacks – the Greatest Of All Time – by many, but leading his team to victory against the Rams would surely cement that status. Standing in Brady and the Patriots' way will be a player at the other end of his career – Jared Goff, the 24-year-old LA Rams quarterback. 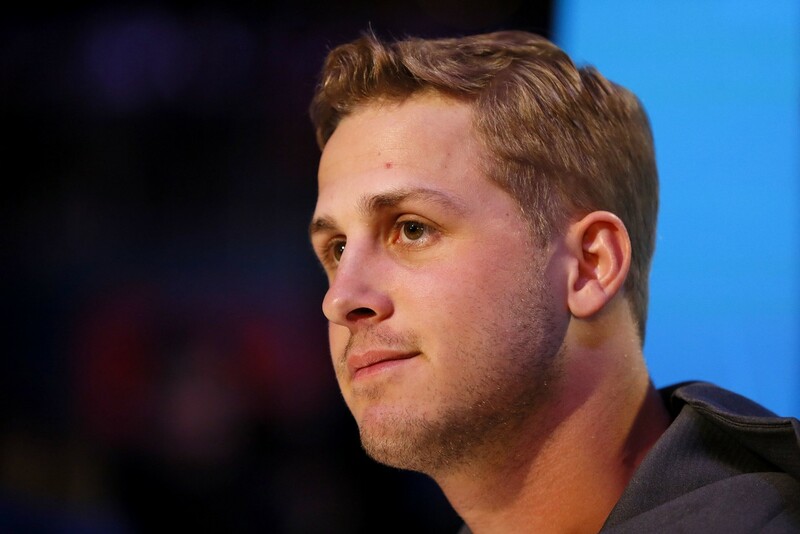 Goff was was chosen by the Rams as the first overall pick of the 2016 draft, and is in his third season. He's seen as a cool customer with a maturity that belies his years, and should his team run out winners, he will have a lot to do with it. It will also be a battle of youth versus experience on the coaching front, as Bill Belichick, the legendary Patriots boss, 66, faces off against the Rams' Sean McVay, who at just 33 is the youngest head coach in Super Bowl history. Should McVay outwit Belichick, we will beat the record for the youngest ever Super Bowl-winning head coach, set by Mike Tomlin in 2009 when he led the Pittsburgh Steelers to victory over the Arizona Cardinals at the age of 36. There will be battles everywhere you look on Sunday as Super Bowl LIII promises to be a game that you can't take your eyes off – or maybe just momentarily to have another one of those chicken wings. WHAT TIME DOES THE ACTION START, WHERE CAN I FOLLOW IT? Kick-off is scheduled for 6:30pm ET (23:30 GMT) on Sunday, February 3. TV viewers in the US will be able to tune in on CBS. For those online, RT Sport is planning live updates – so make sure you stick with us for all the action and reaction.